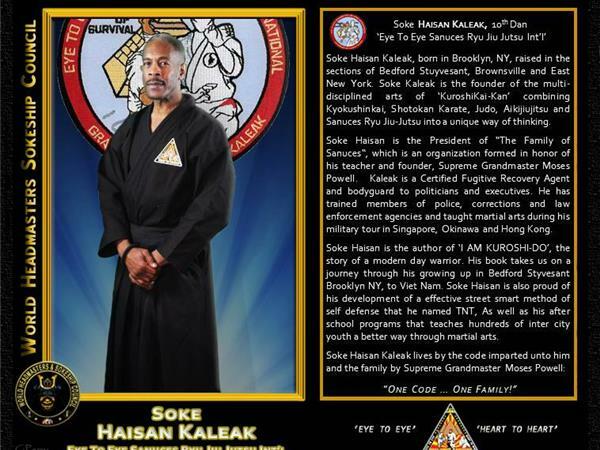 Soke Haisan Kaleak was born in Brooklyn, NY. As a child, he has lived in Bedford Stuyvesant, Brownsville, and East New York. 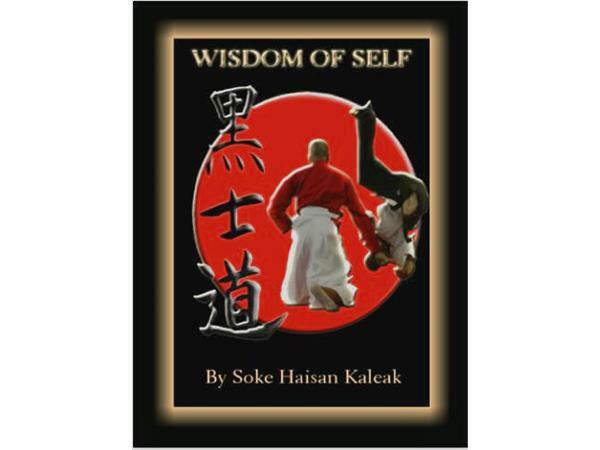 Soke Kaleak is the founder KuroshiKai-Kan which combines the disciplines of Kyokushinkai, Shotokan Karate, Judo, Aikijujutsu and Sanuces Ryu Jiu-Jutsu into a comprehensive martial art. 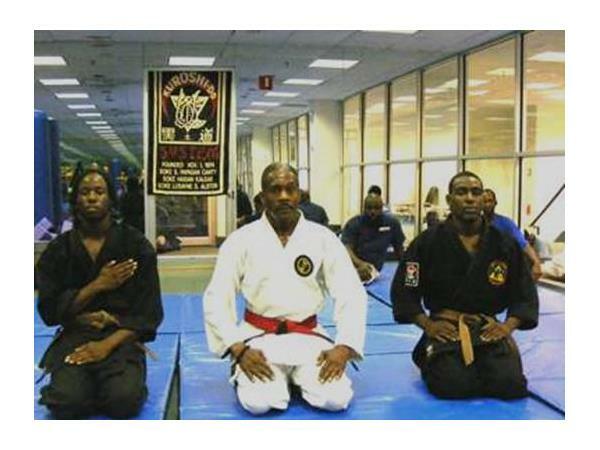 Soke Haisan is the President of "The Family of Sanuces", which is an organization formed in honor of his teacher Supreme Grandmaster Moses Powell. His accomplishments include being a Certified Fugitive Recovery Agent and being a personal protection specialist, he has protected both politicians and business executives. He has trained many law enforcement professionals (State, local and professional). 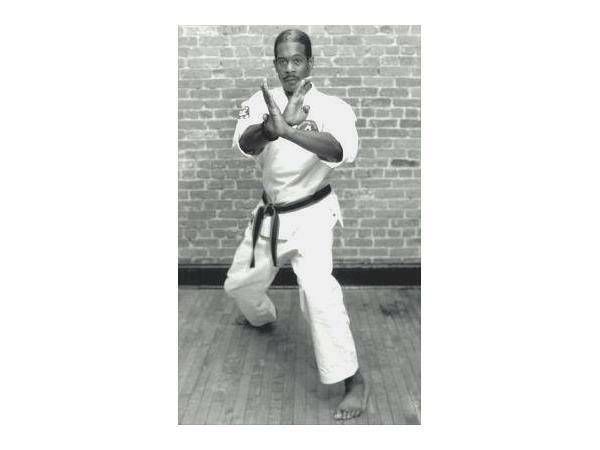 He holds the distinction of having taught martial arts during his military career in Singapore, Okinawa and Hong Kong. Soke Haisan is the author of "I AM KUROSHI-DO", the story of his life as a modern day warrior. This book takes us on a journey of his life. It starts in Bedford Stuyvesant Brooklyn NY, to Viet Nam. 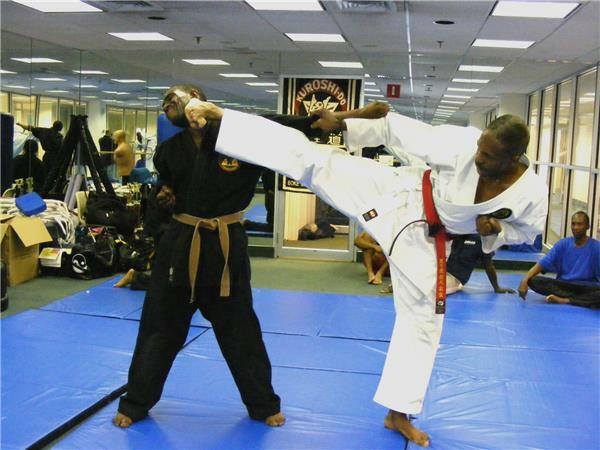 Soke Haisan has also developed an effective street oriented self-defense method that he named TNT. In addition he teaches after school programs that teaches hundreds of inner city youth a better way through martial arts. He lives by the code imparted unto him and the family by Supreme Grandmaster Moses Powell which is "One Code...One Family"